I was saddened the other day when I learned of the passing of Kathryn Tucker Windham. 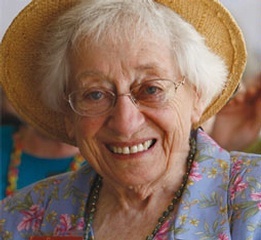 I never had the pleasure of meeting her, but many were the times that I sat and listened to her stories on NPR. She originally broadcast on the local affiliate in Tuscaloosa, Alabama but was soon picked up nationally and broadcast across the NPR networks on their “All Things Considered” program. She was a gifted storyteller not only in her material but in her delivery. In my younger days, her Jeffrey books delighted me – they were light-hearted and humorous with a little bit history thrown in and yet still evoked just enough chills to help make them memorable. And when the time came, I encouraged my own children to explore them and make friends with Jeffrey on their own terms. I was surprised to find out that Mrs. Windham was so much more than a wonderful storyteller. Those ghost stories were the result of a lifelong love of the art of writing. Mrs. Windham worked her magic with a storytelling gift that was passed down from her father, James Tucker. James would hold court on the front porch of the family home when Mrs. Windham was a little girl. He would hold the crowd on his porch spellbound as he stopped to light his pipe during his stories. His daughter picked up that tendency to pause at just the right moment and used it most effectively. Mrs. Windham honed her book writing skills with the popular Jeffrey series – books focusing on the South that she knew so well, with an other-worldly bent that frequently mentioned Jeffery and his cohorts. Jeffrey is the resident “haint” at her Selma home. Her fame increased as thousands of Alabama schoolchildren grew up reading her books. Eventually though, Mrs. Windham became better known for telling stories about the people she loved and the places she knew so well. Some of her most famous works were ghost stories based on local tales, first published in 1969. 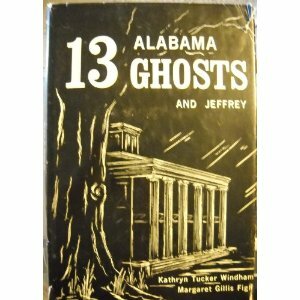 “13 Alabama Ghosts and Jeffrey ” was the first book in a long line of successful scary stories followed by “Jeffrey Introduces 13 More Southern Ghosts ,” “13 Georgia Ghosts and Jeffrey (Jeffrey Books) ,” “13 Mississippi Ghosts and Jeffrey ,” “13 Tennessee Ghosts and Jeffrey ,” and “Jeffrey”s Latest: 13 More Alabama Ghosts .” The latest installment, “Jeffrey’s Favorite 13 Ghost Stories ,” was published in 2004. For her other books – I would suggest “Alabama, One Big Front Porch “, “Spit, Scarey Ann, and Sweat Bees: One Thing Leads to Another “, or “A Serigamy of Stories “. Then there is the one-woman play that she wrote, produced, and starred in about Julia Tutwiler. It is titled “They call me Julia”. And there is also a museum dedicated to Mrs Windham and her many talents. You can visit Old Bank Gallery in Thomasville Alabama, a gift store and visitor information center located in the bank that the Tucker family operated until the Great Depression. So, to one whom I had hoped to meet, farewell – not goodbye but truly fare well in your new surroundings. For someone who so well preserved and presented the stories of the hauntings of her own house and those of so many other southern ghosties, surely this wont be the last we hear of Ms. Kathryn. One wonders just who she may visit and what wonderful hauntings of her own she will now create.